Health has become the number one priority for plenty of consumers today. More and more people are looking to maintain their health and the health of their loved ones. Because of this, organic farming and the concept of eating organic has become the popular choice for plenty of consumers today. In fact, if you’ve taken a look at your local supermarket, you may have seen the numerous organic options that are now available for you. But what exactly is so special about organic food, and what difference does it make to choose organic over conventional food and produce. To better understand this, you have to understand the difference between organic and conventional farming methods. Here are their differences outlined below. One of the most significant differences that you can observe between organic and conventional farming is the types of pesticides that are being used during the farming process. Conventional farming can make use of chemical pesticides to help with pest control management with no issues. Organic farming makes use of natural methods of pest control, such as biological control and crop rotation. One of the strongest arguments for organic farming over conventional farming methods is the potential for long-term sustainability with prolonged use of organic farming methods. 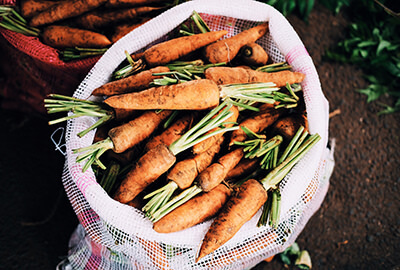 Because all of the methods used in the organic farming process uses all-natural materials and methods, it has the ability to be maintained for long periods of time. When you make use of the chemicals that are typically used in conventional farming methods for prolonged periods of time, it has a tendency to cause considerable damage to the soil that it is being used in, as well as the nearby environment. Another significant difference between organic and conventional farming methods is the type of fertilizer that is used in these farming methods. Conventional farming makes use of chemical or artificial fertilizers, which, while effective in promoting plant growth, lacks the ability to replenish lost nutrients in the soil due to the lack of organic matter in the fertilizer. Organic farming, on the other hand, makes use of natural fertilizers to boost plant growth. It’s no lie that organic fertilizers definitely take more time to work compared to chemical fertilizers, but they are much more beneficial for soil health. It is very important for soil health to be taken into consideration because if soil health begins to deteriorate, it loses its integrity and ability to hold water and sustain plant growth.